It’s already hard enough to go outside during the cold winter months to exercise. BUT if you don’t have the right clothes, it can also be DANGEROUS. 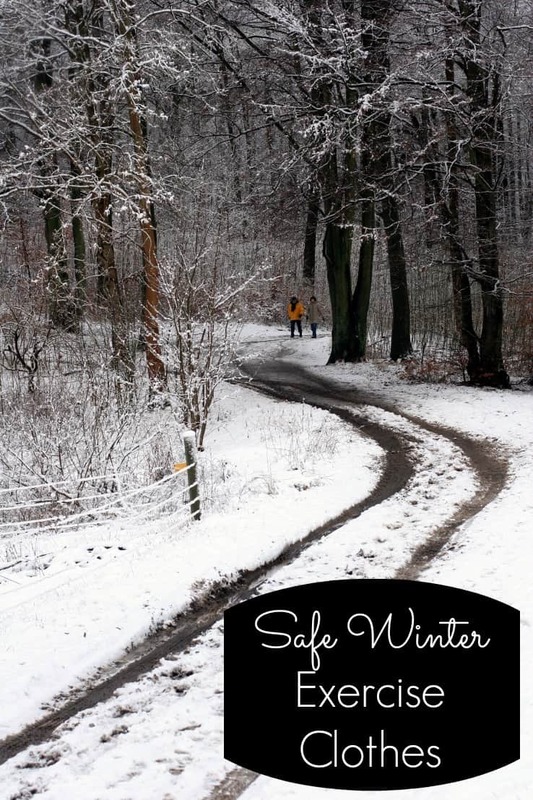 Finding safe winter exercise clothes is key to not only staying warm but also preventing hypothermia. AND you’ll be more likely to maintain your exercise routine if you’re dressed appropriately for the weather. In the past, when I’ve decided to brave the winter weather and get outside and walk, I would wear my cotton stretch pants, a long sleeve cotton shirt, my winter coat, gloves, and scarf. But, even though it was cold outside, I was sweating underneath my coat. Because I was wearing cotton clothing, the sweat turned into a cold sweat. This can eventually turn into hypothermia. So I set out to do some research on what to wear while exercising in cold weather. Wear many layers – Wearing thin, multiple layers will actually keep you warmer than wearing less heavier layers. 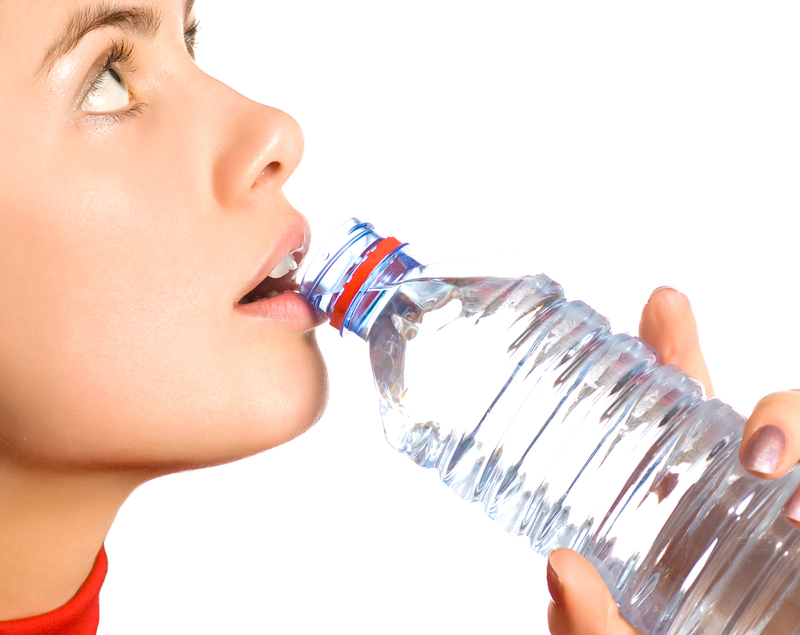 Drink plenty of water – Even though it’s cold out and you’re not sweating as much as you would be in the summer, your body still needs hydration. Drink water even if you don’t feel like you need to. First things first – non-cotton underwear (cotton holds in sweat). And while we’re on the subject of undergarments, a non-cotton sports bra. Preferably something made of a wicking polyester or polypropylene fabric. If the weather will be less than 30 degrees, wear a pair of silk or polypropylene tights. 1st base layer – Long pants, and long sleeved shirt that is made of a sweat wicking material such as polyester. 2nd insulating layer – Long pants and long sleeved shirt or jacket made of microfleece or wool. 3rd outer layer – Long pants and a jacket (preferably with a hood & zipped pockets) that is made of a windproof and water resistant material. For your head, ears, and neck, wear an earband, balaclava (similar to a ski mask -covers head, nose, mouth, & neck), neck gaiter/buff (a one-piece tube of fabric that is worn on the neck and can be pulled up to cover your nose and mouth), or scarf. For your hands, mittens work best to keep your fingers and hands warm. For your feet, wear thick, thermal socks. 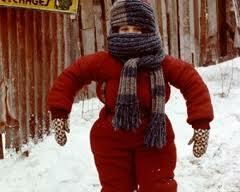 After you put on all of these layers and you feel like Ralphie’s little brother Randy in A Christmas Story, don’t fret, you can start removing layers if you start to become too hot. Hence the beauty of layers. Even when you do get all of the proper clothing listed above, it can still be very hard to motivate yourself to get out in the cold and walk. Having a reliable walking buddy will help you to stay accountable. So get out there and enjoy the brisk cold air, knowing that you’re armed with the right clothes. BONUS: You won’t feel guilty for drinking that hot chocolate once you get back home! If your schedule permits, most malls offer walking programs. Many open early and provide maps and distances to gain certain mileage. Finding malls that have stairs (unlike our local ones), gives you extra excercise.